The road to tragedy is marked by comedic mileposts in “Mister Johnson” (1990), a film built out of incongruities. A title card informs us that the action begins in “West Africa 1923” but the film takes place (and was shot almost entirely in) Nigeria, northern Nigeria to be more specific. 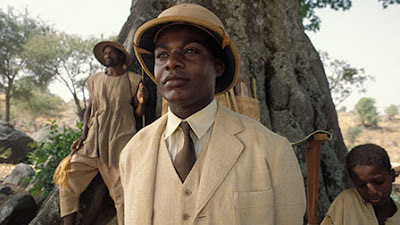 The constantly smiling Mister Johnson (Maynard Eziashi), a transplant from southern Nigeria, looks resplendent in his immaculately white English-style suit and fancy English-style shoes as he proudly rides his English-style bicycle among the locals he describes as “savages.” Of course he tends to use the disparaging term only in the presence of his English bosses, including his “good friend” Mr. Rudbeck (Pierce Brosnan); he has nothing but praise for his countrymen in his leisure time. Praise, vows of eternal loyalty, promises to pay off debts in the future. Mr. Johnson adapts readily to any social situation. Mister Johnson (the only name he is ever called, even by his wife) considers himself an Englishman through and through, often referring to the country as “home” and striving to conduct himself as a proper British gentleman at all times. This perception sets up many of the film's wry observations about the total incompatibility of cultures. As the beaming Mister Johnson marries his beloved Bamu (a radiant Bella Enahoro), he eagerly answers the presiding chaplain with the standard “I do.” When Bamu is asked whether she “takes this man” she turns with a confused look to her father and asks, “Didn't he give you the money?” They both shrug and endure the superfluous white man's ceremony. Director Bruce Beresford (in his first film after the Oscar-winning “Driving Miss Daisy”) and screenwriter William Boyd, adapting a 1939 novel by British writer Joyce Cary, may mine humor from Mister Johnson's precarious perch between two worlds, but they never make fun of him. It would almost exceedingly difficult to do so. Eziashi, a London-born actor of Nigerian descent who makes his film debut here, drives every scene with his undaunted optimism. Though Mister Johnson is a petty crook and even a bit of a con-man, he is incapable of lying because he invariably believes whatever he is saying regardless of its tangential relation to reality. It's true while he says it, and what else matters? Tomorrow is a nebulous concept composed entirely of infinite promise, a promise that can only be achieved by embracing each moment to its fullest and seeing every possibility as a certainty. This makes Mister Johnson the oddest of protagonists, an ambitious man who will do whatever he needs to in order to achieve his goals and yet somehow remains sincerely pleasant and well-meaning at all times. Naturally, he is doomed. Doomed, but resilient. Mister Johnson's can-do attitude sees him bounce back from adversity time and again. His cushy job as Rudbeck's personal assistant ends abruptly when he is scapegoated for an accounting irregularity, but he easily slides into his next gig, working for Sargy Gollup, a violent, racist trader played with loathsome verve and surprising sympathy by Edward Woodward. Once work with Gollup dries up, Mister Johnson finagles his way back into Rudbeck's good graces and helps his “good friend” build a road from their small village to a major trade route a hundred miles to the north. It will be a great success for Rudbeck, not so much for the village. Or for Mister Johnson. Friendships built on fundamental inequities invariably claim victims. I'll leave the ending for you to discover yourself; if you're at all familiar with Beresford's 1980 film “Breaker Morant” you have some indication of what's coming. “Mister Johnson” was the first American film shot in northern Nigeria, providing a logistical challenge that was deftly managed by independent producer Michael Fitzgerald. “Mister Johnson” was really Fitzgerald's baby, or more properly it was the dream project of one of Fitzgerald's mentors, the legendary director John Huston (Fitzgerald produced Huston's “Wise Blood” and “Under the Volcano.”) Huston admired the Joyce Cary novel and wanted to film the adaptation, but never got around to it before his death in 1987. 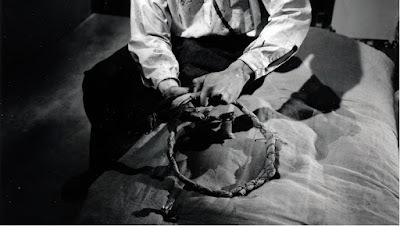 Fitzgerald wouldn't let the dream die with Huston and quickly got to work on realizing the project, hiring Beresford and Eziashi while also finding a crucial in-country collaborator in Nigerian cultural powerhouse Chief Hubert Ogunde who made the entire production possible in a country with limited infrastructure for a major motion picture shoot. 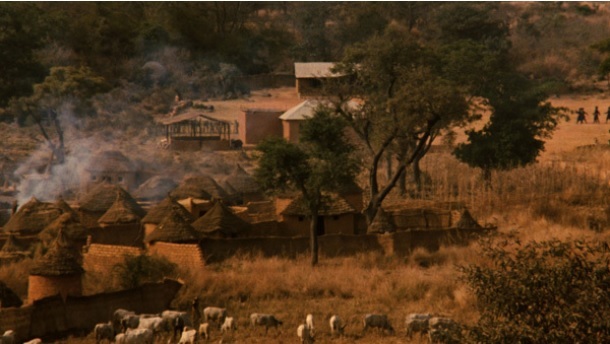 Cinematographer Peter James takes full advantage of the location shooting, rendering Nigeria in lush green and golden hues; the sun is a constant, defining presence even in the close quarters of the film's grueling denouement. Sets constructed for the shoot look entirely convincing (at least to these Western eyes) and, aside from most of the major roles, the film was cast predominantly with local talent. Gorgeous photography aside, the film's main feature is Maynard Eziashi, whose pearly smile and hyperactive eyes that hint at a thousand simultaneous schemes helped him earn a justified Silver Bear for Best Actor at the Berlin Film Festival. Mister Johnson is an unforgettable character, trapped between two worlds but prisoner of neither. I don't know that the film has anything particularly new or complex to say about colonial occupation beyond its obvious cruelty and absurdity and maybe it's a bit too pretty for its own good. 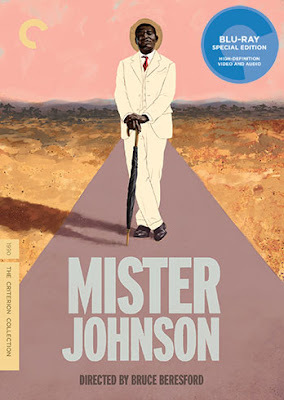 However, if the film's rambling episodic structure leaves its sociopolitical critique somewhat unfocused, it leaves us plenty of time to walk the same sad and funny trail as Mister Johnson; thanks to Eziashi's magnetic performance, that's more than enough. The film is presented in what Criterion describes as “the director's preferred aspect ratio of 1.85:1” which I gather differs from the original theatrical release (1.66:1 according to IMDB). The 1080p transfer is very rich in color with golden hues particularly radiant. The grain structure is subtle and consistent throughout, and it's hard to tell whether it's just a bit too subtle to present a sense of immersive depth. Image quality is sharp throughout. Overall, it's a very satisfying high-def transfer for a film that has not always been treated well either in theatrical or home distribution over the years. The LPCM 2.0 surround mix is crisp and does a fine job of presenting a fairly straightforward audio design that doesn't play around with a lot of effects. It's mostly centrally-located dialogue and music (by former New Wave icon Georges Delerue) and all sounds fine in a lossless mix. Subtitles for the non-English dialogue are a non-optional part of the print. Optional English subtitles for the English dialogue are also offered. Criterion has included a handful of newly record interviews, starting with director Bruce Beresford (15 min.) who discusses the few years he spent in Nigeria in the '60s as well as some of the challenges of shooting in the country. Producer Michael Fitzgerald (11 min.) elaborates further on the challenges while also discussing the film's genesis in his days working with John Huston and how he fought hard for Eziashi as the lead. The interviews continue with the two main actors. Maynard Eziashi (12 min.) talks a bit about his early stage work and how he answered a casting ad for this film without having any idea it was going to be a “major motion picture.” Pierce Brosnan (9 min.) also shares some fond memories regarding the movie. Aside from the interviews, the only other extra is a Theatrical Trailer (3 min.) in somewhat worn-out condition. The slim fold-out insert booklet includes an essay by author and film professor Neil Sinyard. I had come to think that “Breaker Morant” and “Tender Mercies” (1983) were the only Bruce Beresford film I really cared for, which made “Mister Johnson” a pleasant surprise. The extras aren't particularly substantive but the 45 minutes of interviews help fill in a few details. Maynard Eziashi is really exceptional in a movie that may not be a masterpiece, but is certainly worth a recommendation. Robert Bresson (1901-1999) produced one of the most singular and challenging bodies of work in the history of cinema. He ruthlessly stripped all the extraneous components from his films until only the most essential elements remained. Bresson’s films are austere, meticulous and precise; the term “minimalism” does not do them justice, they can only be described as “Bressonian.” Some view his films as slow and arduous while others see them as the “purest” movies ever made: the Bresson cult is a fanatical one and I proudly count myself a member. One of the defining aspects of Bresson’s work is his approach to acting. Bresson (after his first few features) did not employ traditional actors but rather used “models” – non-professional actors he trained to speak and act as inexpressively as possible. The typical Bresson model has a blank, impassive look (“the Bresson face”) and moves slowly and deliberately. Bresson often shot numerous takes in order to exhaust his actors so that their actions and line readings would become as mechanical and automatic as possible. He sought a performance style devoid of inflection; a model does not “look longingly” but merely looks, does not “stand nervously” but merely stands; the goal was action, not acting (method actors need not apply). Even in highly emotional moments, the characters speak and act perfunctorily, and sometimes their detachment seems at odds with the events being depicted. Furthermore, Bresson filmed these automaton-like models in flat, frontal stagings (almost always using a 50mm lens) with limited camera movement. 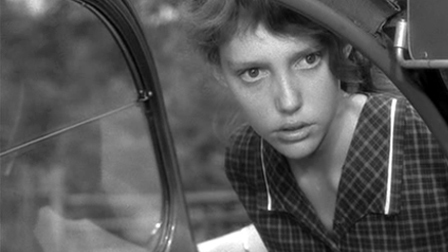 What was Bresson’s purpose in draining all the traditional elements of drama from his films? Critic James Quandt describes it best: “(Bresson) produced a cinema of paradox, in which the denial of emotion creates emotionally overwhelming works (and) minimalism becomes plenitude.” Fanatical restraint and precision unleash depths of feeling that cannot be accessed through standard drama and pathos, or at least that was Bresson's belief. The non-actor models are crucial to this endeavor; any signs of theatrical, self-conscious acting break the spell. 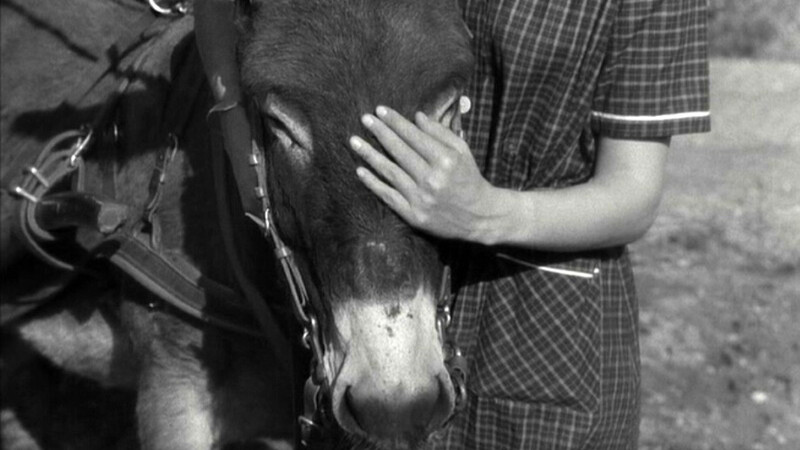 Bresson found his ideal model in Balthazar, the donkey who is the protagonist of “Au hasard Balthazar” (1966), a central work by one of the greatest directors in the history of the cinema. Jean-Luc Godard famously claimed that the film conveyed “the world in an hour and a half,” and it could also be described as the world contained in a donkey’s eyes. Balthazar’s blank, impenetrable stare carries an infinite depth of meaning simply because it is so fundamentally unreadable. Balthazar is unlike any other movie animal you have seen, in large part because he is simply an animal. He is not cute or smart or quirky; he is a donkey and nothing more, which is to say he is everything. Some have described “Au hasard Balthazar” as a film told from a donkey’s point of view, but this is not accurate. The film does follow Balthazar’s life from birth to death, but only in the beginning and end does the story directly concern him. At first, Balthazar is cherished as a pet by adoring children who baptize him, but his peace is short-lived as he is whipped, yoked, and put to work. He will spend most of the rest of the film passing helplessly from one sadistic or indifferent owner to another. His first owner Marie (Anne Wiazemsky, who, a year later, became the second Mrs. Jean-Luc Godard) dotes over him, but she is a lazy, self-absorbed girl. In one scene, she decorates Balthazar with branches and flowers, making local tough guy Gerard (Francois Lafarge) jealous. He and his gang beat Balthazar cruelly while Marie watches in hiding; her affection for the animal does not extend to risking her safety for him. Later, Marie falls in love with Gerard and forgets all about the poor little donkey. Abused by Gerard and abandoned by Marie, Balthazar eventually collapses from exhaustion. Gerard volunteers to “end his misery,” but the donkey is rescued by Arnold (Jean-Claude Guilbert), the town lush. Life gets better for Balthazar, but only briefly. Arnold is kind when sober but vicious when drunk, and he beats Balthazar savagely with a bottle. Balthazar escapes to a circus where he is briefly a star, but later he is sold to a wealthy miser who is so stingy that he barely feeds the donkey and won’t even buy him a proper saddle harness; it is more economical simply to kill the beast if it gets too sick to work. Through all these ordeals, Balthazar is merely a passive observer. The humans’ stories spin all around him, and he takes almost no part in them, hovering constantly on the periphery of our perception. When the gendarmes come for Arnold, we see Balthazar through a window as he grazes in a field; in another scene, Balthazar stands idly at a hitching post as rowdy youths set off firecrackers in the street. 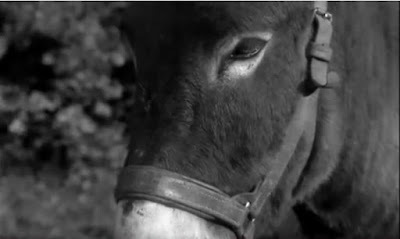 In fact, the stories could easily take place without Balthazar’s presence at all, yet time and again Bresson returns to shots of the donkey merely standing and watching. He serves as a mute and uncomprehending witness to the human dramas that surround him and which, ultimately, determine his fate. The cruelty of the humans seems all the more terrible because of the detached quality of the performances: Marie’s slack-jawed look and slumped shoulders, Gerard’s clipped movements, Arnold’s near immobility at times. Their callousness is a thoughtless byproduct of indifference. Through its restraint, “Au hasard Balthazar” accumulates an extraordinary power, and Balthazar, even though he seldom actually “does” anything, becomes one of the most memorable characters in all of cinema, achieving a sublime grace through the terrible suffering he endures. This is Quandt’s paradox again: the denial of emotion produces overwhelming emotionality. “Overwhelming” is the key word here. 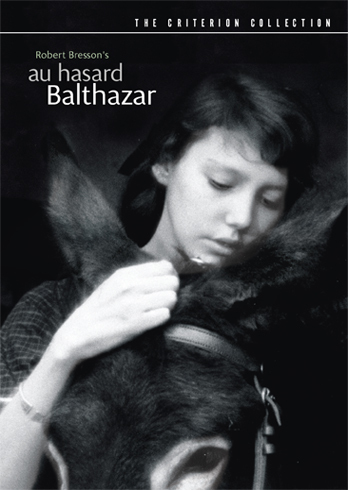 “Au hasard Balthazar” possesses a potent affective force that will stick with you for days, weeks, maybe even the rest of your life. Bresson’s films demand an active audience. Bresson stated, “The flatter the image is, the less it expresses, the more easily it is transformed in contact with other images.” The flat images can also be transformed by the audience; a key to the power of Bresson’s work is that the emptiness of the image invites the viewer to fill it with his or her own meaning. Balthazar’s big, round, empty eyes are the film’s most enduring image and you will either see in them great profundity or merely the vacant stare of a dumb animal; which you see depends in large part on your degree of engagement with the movie. Bresson’s films are living texts which change with each viewing and yield great rewards to the attentive, involved watcher. Some commentators (most notably Paul Schrader) have described Bresson as a transcendental director. I don’t agree with that label, but if there is a transcendent moment in Bresson’s films, it is here, as this gentle little donkey kneels down in a field, with a flock of sheep milling about him, the bells on their collars chiming a mournful chorus. It is an ending both beautiful and terrible to behold and I often think it is the single greatest achievement world cinema has ever produced. The DVD presents the film in its original theatrical aspect ratio of 1.66:1. The black-and-white photography is crisp, with richt contrast. Often when we describe cinematography as beautiful, we mean that the film offers gorgeous, ravishing imagery: sweeping landscapes, deep focus, etc. Such pictures would be out of place in a Bresson film, yet the photography is beautiful nonetheless and the new transfer more than does justice to it. The DVD is presented in Dolby Digital Mono. I did not even attempt to describe the soundtrack in my review because it would require at least another thousand words just to scratch the surface. Bresson made use of sound perhaps more effectively and expressively than any other director (only Kubrick and Lynch spring to mind immediately as contenders) and it is probably not possible to preserve the full texture of the sound on a DVD, but this sound transfer is certainly an admirable effort. The sound effects are well-mixed and separated. The film makes notable use of Schubert’s sparse and moving Piano Sonata no. 20 which sounds just right here. Optional English language subtitles support the audio. If ever a Criterion release desperately called for a commentary track, it is “Au hasard Balthazar,” but we do not get one here. However, the other extras are worthwhile offerings. A twenty-minute interview with scholar Donald Richie (getting a rare chance to talk about a non-Japanese film) serves as an excellent introduction into the Bressonian oeuvre. “Un metteur en ordre: Robert Bresson” (70 min.) is a 1966 French television program about Bresson and the making of “Au hasard Balthazar.” Godard, Louis Malle and the cast of the film also appear. It is clear from watching this extra that Bresson was already firmly established as a cult director whose status bordered on beatification. In the spirit of Bresson, I will keep it simple: “Au hasard Balthazar” is a masterpiece. Possibly the greatest film ever made. I undersell it by a wide margin, of course. Robert Bresson's specific theological beliefs are difficult to pin down, which is not surprising considering that the director doled out autobiographical information with an eye dropper. He believed his films should speak for themselves. Like many critics I have previously written that Bresson believed in predestination, but the more I study his work (he preferred the term “striving”), the less certain I am of such a simplistic claim. Bresson was, at times, happy to embrace the perception that he was a Catholic filmmaker and, more specifically, that he was sympathetic to the Jansenist belief that we are all essentially “fallen” but that a select few are scheduled for salvation. Everyone else is kind of screwed, but even the chosen ones must struggle to achieve the grace that has been gifted to them. Devigny is renamed Fontaine and is played by non-professional actor Francois Leterier who, like all the cast members, delivers most of his lines in the flat, uninflected style so closely identified with Bresson. When we first meet him, he is handcuffed in the back seat of a car driven by German security on the way to Fort Montluc. He almost immediately attempts to escape, is re-captured, and beaten. He will try yet again before he is even in his prison cell. Once there, he takes a little more time to size up his surroundings, but there's no doubt about what his primary goal is, or about the outcome. If the full French title “A Man Condemned To Death Who Escaped” doesn't give the ending away, the fact that the film is accompanied by Fontaine's past-tense voice-over should clue you in. 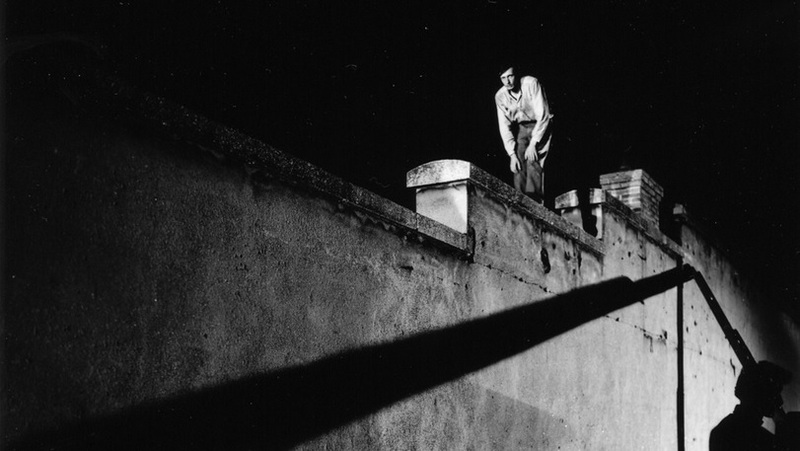 Bresson wasn't interested in narrative suspense, but he certainly wanted to create tension. He achieves it marvelously by refining his cinematographic style to attune viewers to a kind of first-person cinema. Virtually every shot and, just as importantly, every sound we hear reflects Fontaine's immediate sensory experience. Every inch of Fontaine's cell is clearly delineated, and the puny handful of objects in his world achieve a talismanic quality: the nub of a hidden pencil represents his defiance, a hastily concealed spoon becomes his literal and metaphorical key to freedom. The constant scraping of the spoon against the thick, rotting wood of his cell door dominates the film's action for a boldly lengthy stretch, one of several evocative sounds (painstakingly isolated and recorded in post-production) that make “A Man Escaped” a unique auditory experience. I've never heard anything like it... except in other Bresson films. By focusing ruthlessly on such quotidian, sensual details, Bresson immerses us completely in Fontaine's world, but this is more than just a highly distilled prison escape tale. It becomes apparent that Fort Montluc is, indeed, as escape proof as its reputation suggests, except for the prisoner who has help from the outside, or perhaps from above. A series of coincidences pile up: a fastidious guard happens not to check Fontaine's jacket pocket one day, a mysterious package arrives from an unidentified source and provides the material necessary to continue the escape plan, a second prisoner is assigned to Fontaine's cell just as he realizes he can't make it over the wall without an accomplice. Bresson has no apparent interest in explaining these mysterious circumstances: he's more interested in the mystery itself, the idea that one man would catch all the breaks (or blessings, if your prefer) and that another wouldn't. The film's alternate title is a Biblical allusion, “The Wind Blows Where It Wills.” Fontaine is no charity case, however. He needs fate on his side, but he has to be ingenious and persistent to take advantage of it. At one point, Bresson planned to call the movie “Aide-toi” or “Help Yourself” and Fontaine states it more plainly, “It would be too easy if God handled everything.” Of course, there's nothing wrong with easy. “A Man Escaped” is not pessimistic, but it is sure as heck lucid. Bresson strove to strip down his cinema to its barest essentials, and he had already all but perfected the elements of an idiosyncratic style that can be described as nothing other than Bressonian even with this early feature. He knew precisely what he wanted audiences to see and hear, and scrubbed everything else from his audiovisual canvas (his term was “cinematograph.”) The effect is startling, sometimes disorienting, and an unqualified triumph. “A Man Escaped” is not just the greatest prison escape film ever made, it is one of the greatest films of any kind ever made. 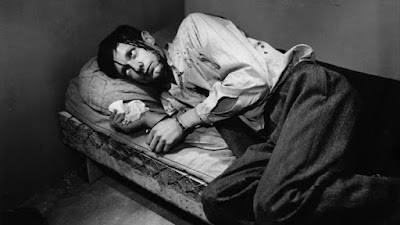 And the coolest thing is, Bresson would get even better. The film is presented in its original 1.33;1 aspect ratio. “A Man Escaped” was previously available in Region 1 only on a bare-bones 2004 SD release by New Yorker Films. The SD transfer was adequate, but with plenty of flaws. Criterion's version runs at 100 minutes vs. the 96 minutes of the New Yorker release which means the New Yorker was a PAL speed-up. The improvement over the New Yorker SD is remarkable even though this isn't the very best of Criterion's 1080p transfers. Most of the damage visible in the old SD has been cleaned up here, though it is not flawless. You can definitely see more detail in the darker shots and you can make out more detail on the walls of Fontaine's cell: perhaps this is why we get subtitles for some of the writing where we didn't get them before. The picture isn't quite as grainy as I would have expected, perhaps suggesting a little extra digital cleanup throughout. The linear PCM mono track is of vital importance in a film where the sound design carries so much of the narrative weight. The lossless track is up to the task, preserving the clear pinging of streetcars off-screen and, of course, that scraping of the spoon in vivid detail, each sound as isolated and, sometimes, as hollow and artificial sounding as it needs to be. Optional English subtitles support the French audio. The New Yorker DVD only had a trailer. Criterion has more than made up for that. The copious extras cover ground that will be familiar to Bresson aficionados, but which can serve as accessible primers for viewers relatively new to his body of cinema. “The Road to Bresson” (1984, 56 min.) 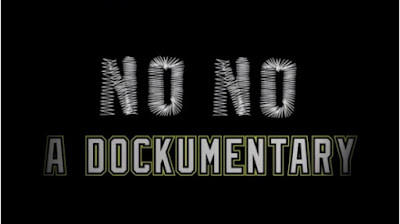 is a documentary by Leo de Boer and Jurrien Rood. I've never quite gotten through my barely visible bootleg copy of this, so it's a thrill to have it available in a watchable format. The two Dutch filmmakers recount their intermittent efforts to speak to Bresson during the publicity for his final film “L'argent” (1983), mostly involving frustrated attempts to get the hotel operator to patch them through to the director's room. A lot of screen time is also devoted to interviews by directors Louis Malle, Paul Schrader, and Andrei Tarkovsky as well as actress Dominique Sanda. And we get a sort-of guest appearance by Orson Welles. “The Essence of Forms” (2010, 46 min.) is a recent documentary by Pierre-Henri Gibert. This feature includes interviews with Francois Leterrier (who played Fontaine), director Bruno Dumont, cinematographer Pierre Lhomme, and others. Leterrier's commentary is the most interesting, as he provides even more insight into Bresson's labor-intensive way of recording sound in post-production. “Functions of Film Sound” (2012, 20 minutes) is a somewhat unusual feature in which actor Dan Stewart reads from a well-known chapter of “Film Art” by David Bordwell and Kristin Thompson. They've contributed some of the finest writing about Bresson's use of sound. However, I'm not sure just how successful this presentation is since Stewart speaks over much of the sound in the film clips being shown. Still, it's interesting and I hope it motivates people to seek out the excellent original text. The disc also includes an obstinate three minute Trailer that seems like a dare to audience: the last half is just a static shot of a stone wall at Montluc. The 16-page insert booklet features an essay by author Tony Pipolo whose “Robert Bresson: A Passion for Film” is essential reading. I recently taught a month-long course on the films of Bresson. I came prepared to defend against the usual charges: that Bresson is too austere, too opaque, too difficult. As it turns out, I didn't have to defend anything; they really liked the movies. Part of this was the luck of the draw; I was blessed with a class full of curious, engaged movie fans who were up to the challenge of watching something different in an active, attentive manner. I think it helped to start with “A Man Escaped,” which provides some familiar markers (an identifiable genre, a protagonist with a clear goal) that aren't always present in Bresson's later films. I would never dissuade anyone from watching any Bresson film with the elitist claim that he's only “suited to certain tastes.” How would I know? I do believe that anyone who's eager to dive in should start here, or possibly with “Pickpocket.” But, no, start here. You'll be hooked. 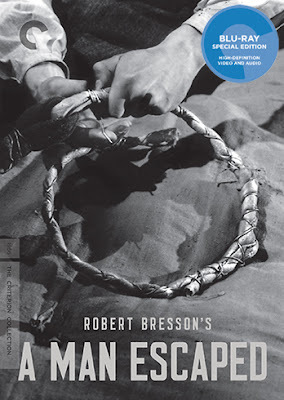 And since “Bresson: Without a Trace” makes such a strong introduction to the director (“The Road to Bresson” is not far behind) and his working methods, this impressive Criterion release is the go-to source for anyone starting their Bresson journey. 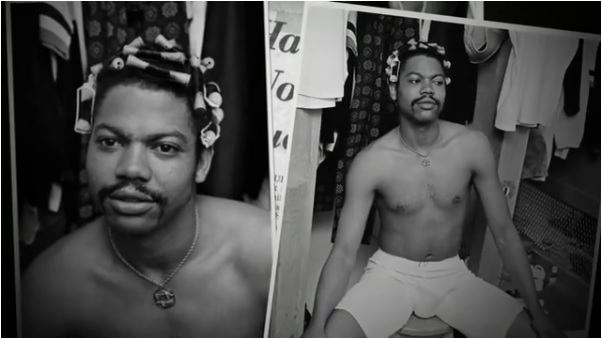 Dock Ellis won 138 games in the major leagues, started an all-star game, and earned a World Series ring. 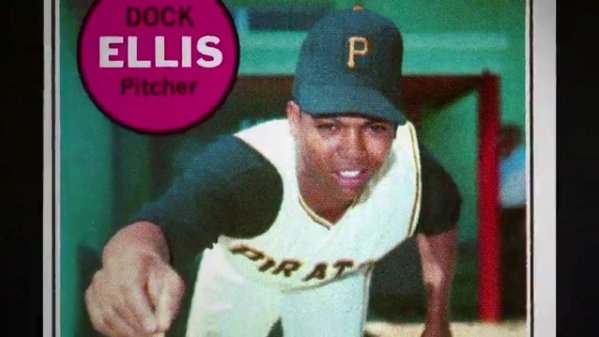 But Dock Ellis will forever be known for pitching a no-hitter while (allegedly) tripping on LSD. As Ellis told and re-told the much-loved story, he couldn't even see the batters and just pitched to the reflective tape catcher Jerry May wore on his fingers. “High as a Georgia pine,” he walked eight and hit a man; trust Dock Ellis to pitch a no-hitter in his own style. 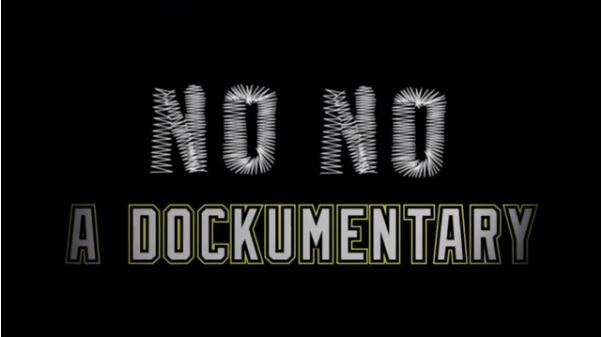 While “No No: A Dockumentary” (2014) shows us there is much more to Dock Ellis than just his June 12, 1970 gem against the Padres (yes, no-hitters pitched against the Padres still count officially) it still takes this cherished legend as its primary inspiration. It was neither the first nor the last time Dock (his given name, by the way) took the mound while under the influence of illegal substances. Ellis's career (1968-1979) was a constant binge on LSD, vodka, and especially greenies, the amphetamines in widespread use in major-league baseball during the '60s and '70s. Ellis claims he would grab a fistful of pills from a bowl in the clubhouse, toss them in the air and take the ones that landed standing up... and then take the rest as needed. He enjoyed the night life too and was fortunate to find the perfect home with the party-animal Pirates headlined by Willie Stargell and Ellis's roommate and mentor Roberto Clemente. Fans of the team will enjoy the numerous interviews with Bucco stalwarts like Al Oliver (one of Dock's closest friends), Manny Sanguillen, Bruce Kison, and others. First-time feature documentary director Jeff Radice plays the drug angle for the combination of awe and stoner humor that has usually accompanied the legend of Dock Ellis, but it's only fun and games until somebody gets hurt. The laughs stop quickly when we learn that Ellis choked his first wife Paula (she wisely ditched him immediately) and later threatened to shoot his second wife Austine during a night-long ordeal as he raged after being released by the Pirates. According to the movie, Ellis took the second incident as a wake-up call, checked himself into rehab, and embarked on an unlikely post-playing career as an advocate for substance abuse treatment for professional athletes and a drug counselor in prisons. Whether you buy the final act redemption story as neatly as presented or not, Ellis emerges from the movie as a complex and thoughtful character. He loved to say and do outrageous things, but seldom did so without a calculated purpose. If there's a common thread to the controversies this self-described “angry black man” generated on a regular basis (I'll leave you to discover them in the movie in case you don't already know) it's that he didn't want anybody telling him what to do; not fans, not the press, and certainly not his employers. Ellis's defiant message to his teams was to watch how he played on the field and not to worry about anything else. The documentary also suggests a sensitive, almost artistic side to Ellis. One of the stranger aspects about one of baseball's strangest careers is that Dock's biography would be written by future poet laureate Donald Hall who spotted something unique in the outspoken pitcher. He wasn't the only one. Jackie Robinson was inspired to write Ellis an appreciative letter in which he cheered him for standing up for his values. Dock tries to read the text of the letter, but can't make it to the end as he breaks up in tears. The movie probably wouldn't have been made if not for the legendary no-no, but it's an enduring and endearing moment like that which makes you understand why Radice and his team were eager to devote years to telling his remarkable story. I'd have loved a little more game footage to see more of Dock Ellis at work, but “No No: A Dockumentary” is a satisfying and engaging portrait of an American original.